No pictures, and no taste-reviews yet, but I just wanted to post that I received my YouBar samples! I was one of the lucky individuals who received a box of 4 YouBars to sample, courtesy of YouBar and BlakeMakes! Reviews on the flavors and pictures coming soon! 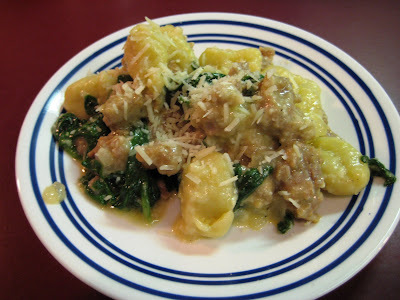 When I saw this recipe I knew we had to try it — DH LOVES gnocchi. 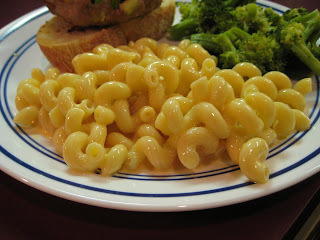 And it looked like another fast weeknight meal. 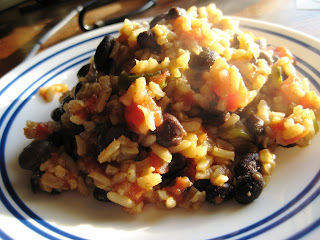 I’m ALWAYS up for fast weeknight meals! 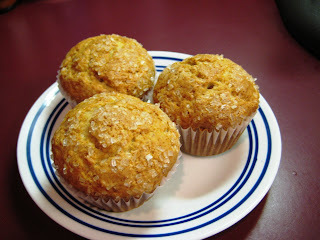 Her pictures are much better than mine — it was dark by the time I was done cooking, so no natural light! This was very tasty. I used the good old parmesan in the green can, because it’s what I had, and it worked just fine. It probably would’ve been better with fresh, though. DH also requested that I add some tomatoes next time. Works for me! – Meanwhile, heat the oil in a large skillet over medium/medium high heat. – Add the drained gnocchi, the reserved cooking liquid, and the Parmesan cheese, and toss. – Divide among bowls and sprinkle with additional Parmesan. Well — mine aren’t shells, but they are creamy and cheesy! DH is always requesting a “creamier” mac and cheese when I make baked… so I thought this time I’d make stove-top style mac and cheese with a little velveeta to make it creamy. I halved Katie’s recipe, and still have enough macaroni and cheese to feed an army. The recipe below is what I made. 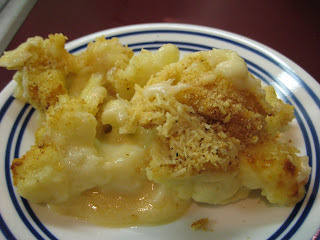 If you feel a compelling urge to make 2 pounds of macaroni and cheese, you can double it (that’s also the original recipe on Katie’s blog). DH said it was a little too “cheese” tasting. I’m really not sure what that means. Perhaps next time I’ll use some velveeta to make it creamy, but I’ll also include some “real” cheese to make it taste better. 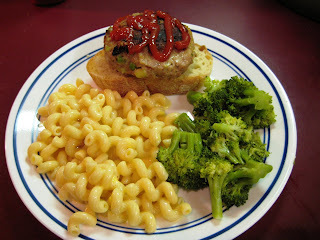 I served mine with open-faced turkey burgers and steamed broccoli. Nothin’ fancy this week — short week for DH and I, and we go visit my family and friends back home on Friday! Friday: Half day of work — probably fast food on our way out of town for dinner! I got this recipe from Better Than Takeout — and since our local Farmer’s Market has had some really nice cauliflower lately, figured we’d give it a try. It really is a tasty dish, I just think the cheese I used didn’t have enough bold flavor. Better Than Takeout reccommends Gruyere, or White Cheddar and Mozzarella. I used a mexican blend and a little mozzerella, and the cheeses just didn’t have enough sharp flavor. I’ll definately try it again with a bolder cheese! – Bring the milk to a summer in a saucepan with the bay leaf and garlic. Cover, turn off the heat, and let infuse for approximately 10-15 minutes. 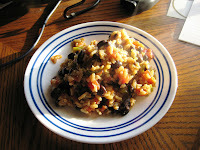 This is another recipe my DH has requested, and that his grandmother used to make. I really love these — they’re just delicious! The roast beef and onion combo inside the delicate crepe is probably the “lightest” feeling beef dish I’ve ever eaten. 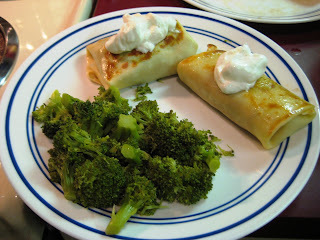 And, of course, sour cream never hurt anyone! – Using a quarter cup measure, pour 2-3 tablespoons of the batter into a skillet and work quickly: Tilt the skillet so that the batter covers the bottom. When the bottom of the crepe is golden, flip over and cook the other side. – Recipe makes 9-10 thin crepes. I can’t cook crepes to save my life. Not even 8 years of french, being forced to try and make them EVERY YEAR in class, gave me the skill. I also can’t cook pancakes. I have no idea why. So my DH is responsible for all of the crepe-and-pancake-making that occurs in our household. *Tips hat to DH* Thanks! 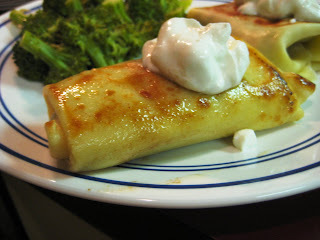 – Lay out a crepe and add 1-2 tablespoons beef/onion mixture to the middle of the crepe. – Add all of the filled crepes, seam side down, and brown the bottom, searing them shut. Then flip them over and brown the top. Serve warm, with a dollop of sour cream! 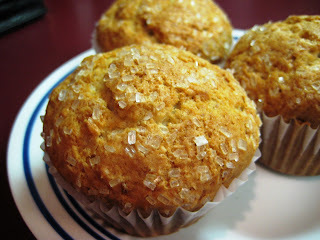 This week actually has some blog-able recipes! Rock!